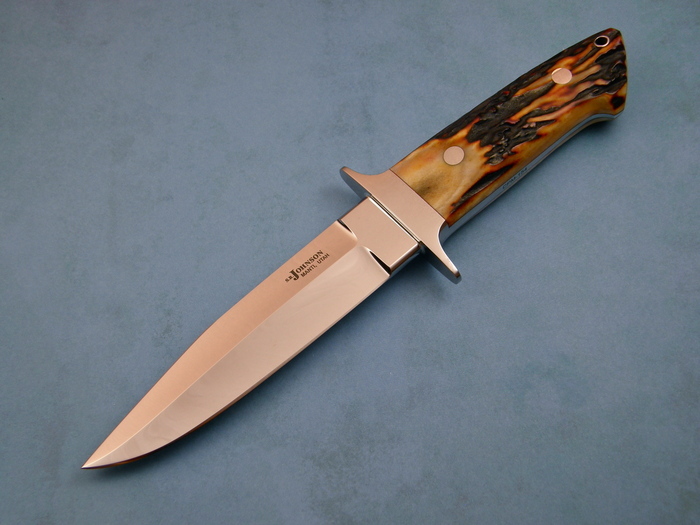 A beautiful "Wilderness" model knife by Steve Johnson. 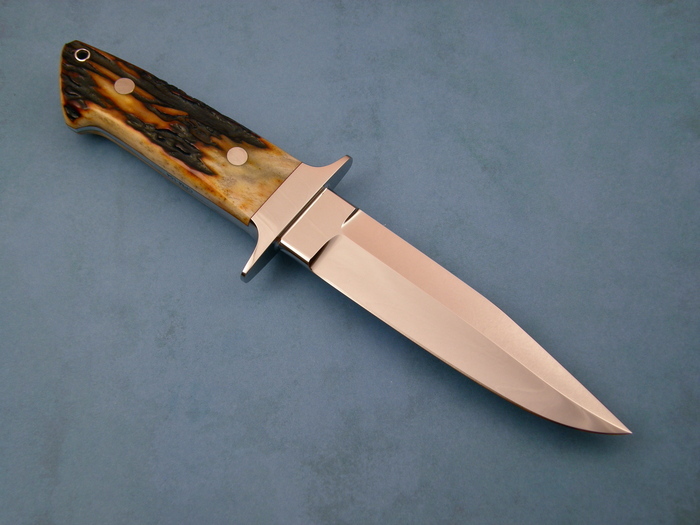 It has magnificent matching Amber Stag. An amazing knife.